Welcome to the JSS Homepage !! 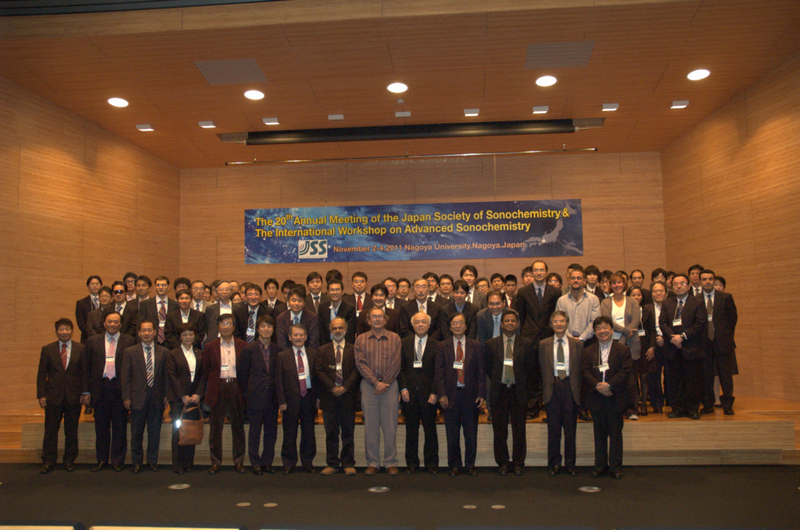 Japan Society of Sonochemistry (JSS) has been established in 1992 as a non-profit organisation. The society and its members are interested in the basic science and the application of ultrasound in chemistry and related fields (e.g. sonoluminescence, materials science, environmental science, medical application, biotechnology, etc.). More than 100 persons join the society. The society has a symposium annually, usually in autumn. The International Symposium on Sonochemistry and Sonoprocessing 2007 was held at Kyoto Reserch Park on December 6, 2007, along with the 16th Annual Meeting of JSS. 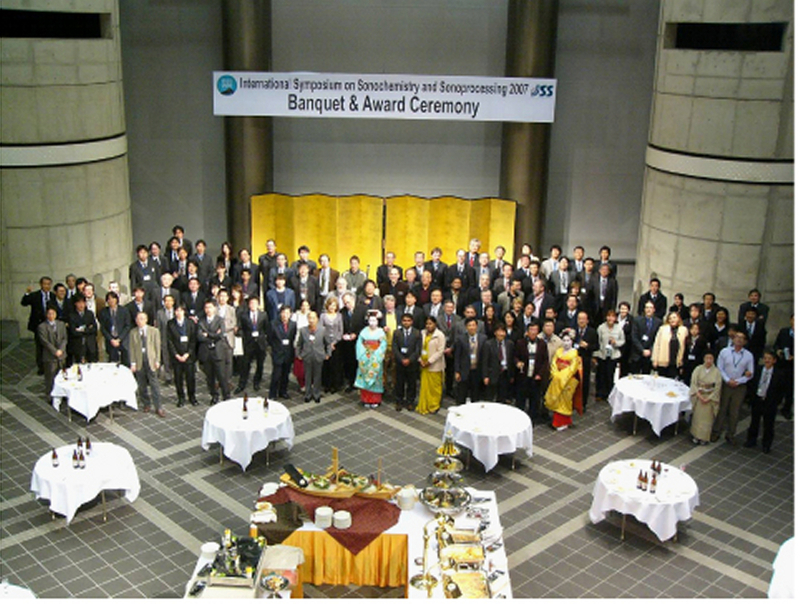 The 20th Annual Meeting of JSS & The International Workshop on Advanced Sonochemistry was held at Nagoya University on November 2 − 4, 2011. The JSS-Board currently consists of 19 members. The board has elected the president and the vice-president as below described. The JSS welcomes not only specialists in sonochemistry but also scientists and engineers who have little experience in sonochemistry. You can become a personal member. The Society has no restriction of the nationality for its members.